Árbol de Piedra ("stone tree") is an isolated rock formation in the Eduardo Avaroa Andean Fauna National Reserve of Sur Lípez Province, Bolivia. Much photographed, it projects out of thealtiplano sand dunes of Siloli in the Potosí Department, about 18 kilometres (11 mi) north of Laguna Colorado. 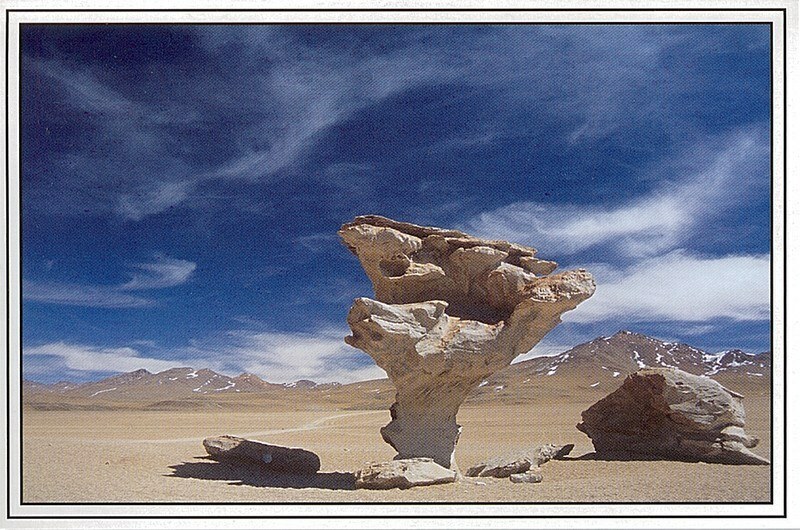 Known as “Stone Tree”, it is shaped as a stunted tree, and is formed as a thin rock because of strong winds.